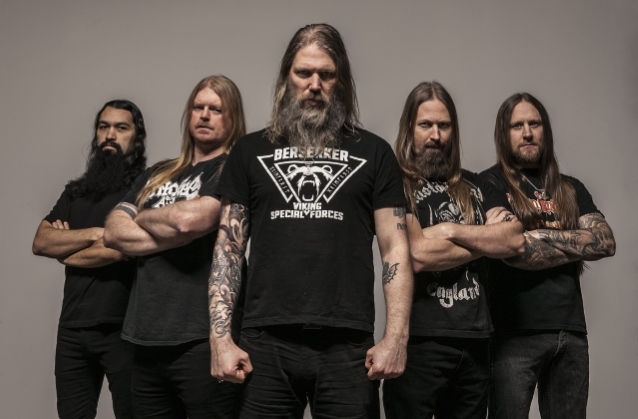 An audio sample of a new AMON AMARTH song, apparently titled "Raven's Flight", is available below. The track, which is expected to make its online debut this Wednesday (March 20), is taken from the band's upcoming album, which is due this spring via Metal Blade Records. The disc was recorded at Sphere Studios in North Hollywood, California with producer Jay Ruston, who has previously worked with ANTHRAX, STEEL PANTHER, URIAH HEEP and STONE SOUR.